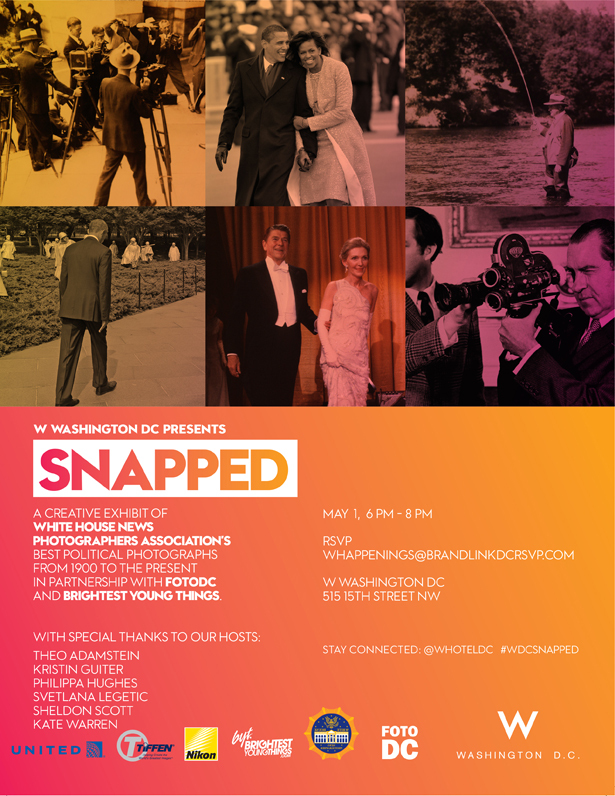 As if there weren’t enough White House Correspondents’ Dinner-related happenings this week, the White House News Photographers Association, FotoDC, Brightest Young Things and the W present “SNAPPED,” an exhibit of the best political photographs from 1900 to present. But luckily for you, there’s no rush. The exhibit – which opens today – is on display through May 20. 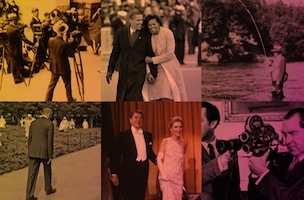 The works to be featured include those of Brooks Kraft, 2013 Corbis International Photographer of the Year; New York Times photog George Tames; Chip Somodevilla, winner of the 2007 WHNPA Political Photo of The Year; Arnie Sachs, who photographed eleven presidents; AP photog Carolyn Kaster; and Ron Edmonds, winner of the 1981 Pulitzer Prize in Spot News Photography. The collection of 200 photographs will be introduced tonight from 6 – 8 pm in the lobby of the W (515 15th St. NW) at an event hosted by Theo Adamstein, Kristin Guiter, Philippa Hughes, Svetlana Legetic, Sheldon Scott, and Kate Warren.